Beauty Will Rise: An honest look at a man who struggles. We got the call almost a year and a half ago. Emily on the other line, "PLEASE PRAY FOR MARIA!!" she screamed and hung up almost as fast as I could say hello. We had no idea what was going on, but we gathered our staff together, and began to pray. "God, whatever is going on, please be with the Chapman family. We don't know how to pray, but we know you're watching." The next call from Emily "Maria is dead." and the silent sobbing began. You know when tragedy strikes, and you don't know what to say, or how to comfort? All we knew to do was buy a plane ticket to Nashville, and hug a lot of people. So Jamie Jo and I did what any other friend would do, we traveled all the way across the country, un-prepared for the darkness hanging over the church, the family, and all the friends who came to give their final respects to a little girl adopted from China, with so much life yet to live. And our hearts were just so incredibly sad. Maria Sue Chapman died at 6 years old, on a warm spring day in May, 2008. I continue to watch a family deal with the loss of a child. I can't even begin to imagine the waves of sadness that continue to pound at the heart of these wonderful people. But one thing I know, Steven and Mary Beth are 100% committed to the faith they proclaim. They're the real deal! They've traveled a road that you never find and end, at least on this side. But they show the world their faith remains. They ask hard questions about why, when, and what if. But they continue to call God their rock and their refuge. They profess a faith that challenges every day existence. And, they live it, most notably by writing some of the best music I've heard from Steven in a long time. 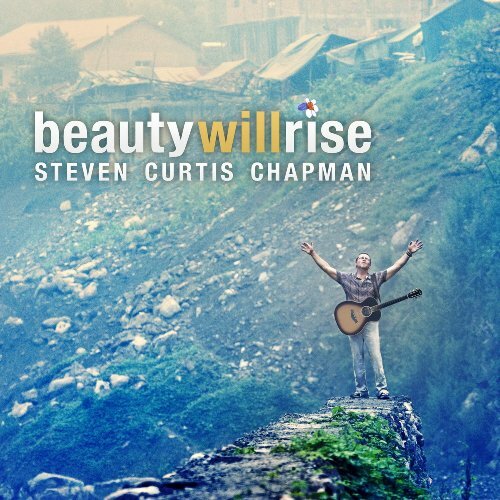 I've been an SCC fan since I was in High School, but this album is the culmination of a desperate father, a husband longing to find answers, and the knowledge of a faith that will someday, on his journey, rise to Beauty! Get over to iTunes and download this wonderful masterpiece outlining the Journey of one man to find the answers to life's hardest answers. May we all be courageous enough to drill deep into the heart of our faith. May we understand God's ultimate reconciliation of the world. But for now…may we be a people who can mourn for our friends loss, celebrate with them in those times of triumph, and allow them the time to heal as God would heal. We're praying for you guys today here at andybraner.com, and we believe, as you've recorded so well, BEAUTY WILL RISE! Such an encouraging word. Thanks Andy.